Exploring our world with books is one of my favorite ways to connect with my child. Discovering customs and festivals and how they passed down from generation to generation can be such fun. Here’s how some people celebrate Durga Puja which is a hindu festival celebrated by families in India and many other parts of the world. I receive a complimentary copy of this book to review as part of Multicultural Children’s Book Day. All opinions expressed are my own Follow along at #readyourworld. My husband and his family are from India so I’m always looking for books that explore the culture there, including ones that reflect Hinduism to share with my children. Plus I love being about to share with my children’s classmates when we do special presentations about India. Sharing books that reflect families from all over the world is so important for our children. Since my husband’s background in Punjabi I’m learning that there are differences between regions of India of how families celebrate different festivals. Durga Puja is one of those events celebrated mostly by Bengali’s so I was excited to read through this book Celebrate Durga Puja with Me! and learn along with my children. 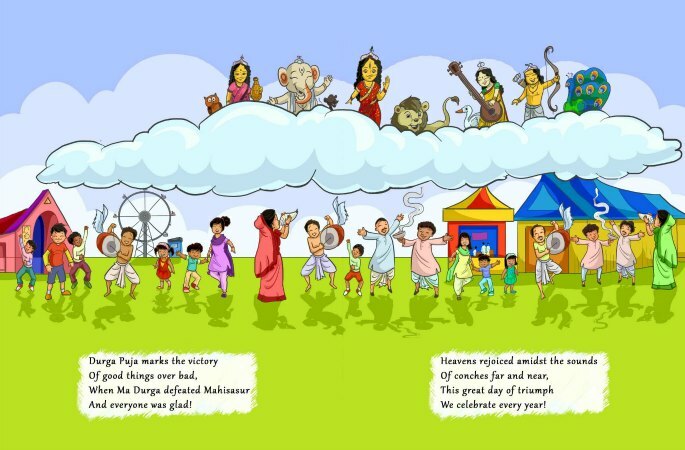 One peek at this Indian storybook and you’ll discover it’s with rhyme through the eyes of a young child, which I adore. The simplified version of what’s happening is so helpful. The sweet little girl “Riya” takes us through day by day how her families prepares and celebrates Durga Puja. 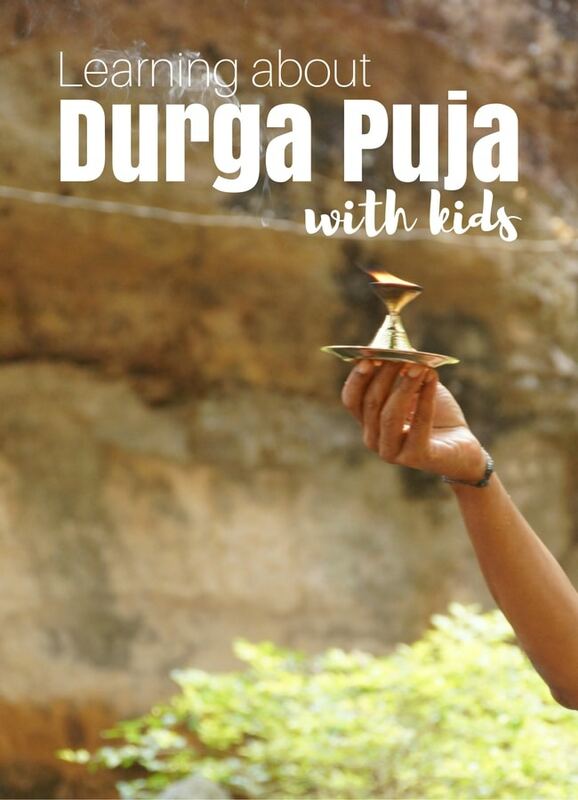 After reading it I had to learn more about celebrating Durga Puja so I found this video on youtube that I think your kids will enjoy too. The author, Shoumi Sen , create an inviting atmosphere for this festival in her book. My kids were intrigued and wanted to know more about the festival. I’ve looked up events our local Indian community and have now learned when and where they usually celebrate together and look forward to going to observe this fall with my inlaws. “Indian mythology is full of stories of love, courage and bravery that have been handed down from one generation to another. ​One such tale is that of the goddess Durga and her battle over the evil Mahisasura. This victory of good over evil is widely celebrated as Durga Puja or Pujo in October when it is said that Durga visits her maternal home. This five day festival, brings entire cities to life and the best place to witness this first hand is in Kolkata, which opens its arms to thousands of visitors every year, all eager to be a part of the massive celebrations. For weeks leading up to ‘Pujo’, talented artisans create idols of the goddess, who will eventually reside in pandals (grand, temporary structures that are constructed throughout the city), for the duration of the festival. On the first day, Shashti, the excitement is palpable as the idols are unveiled and the city reverberates with the sound of the dhaak (drum). Young and old, rich and poor, decked in their finest, gather in these pandals and for the next few days, friends and perfect strangers get together to partake in the festivities and invoke blessings from the goddess. Delicious food, music, cultural programs are hallmarks of this festival and as the last day, known as Bijoya Dashami, approaches, one cannot help but feel a twinge of sadness as the goddess starts her journey home and we must wait for another year for next year’s Pujo. One thing that your child might enjoy doing is trying to draw a picture of Goddess Durga. Here are a few videos that depict how to draw Durga maa. It helps them to explore indian art and this tutorial step by step makes it pretty easy. If you want to more about Goddess Durga you can watch these videos. The legends of how they were created is always fascinating regardless of what religious background you believe. 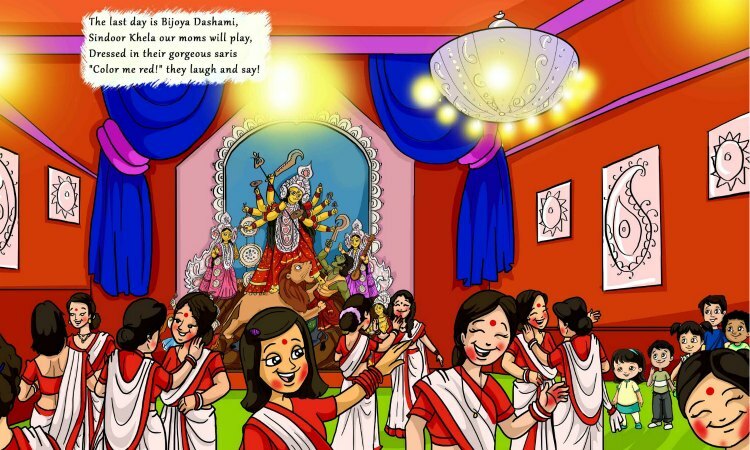 Once your child draws the picture of Durga maa you could have your then use water colors or crayons or even markers to color it in as you learn about the culture behind this Indian festival. Finding ways to explore festivals around the world is why I want to say thank you this author for working so hard to share with not only her own children but with mine on ways that families celebrate around the world and carry traditions from generation to generation. 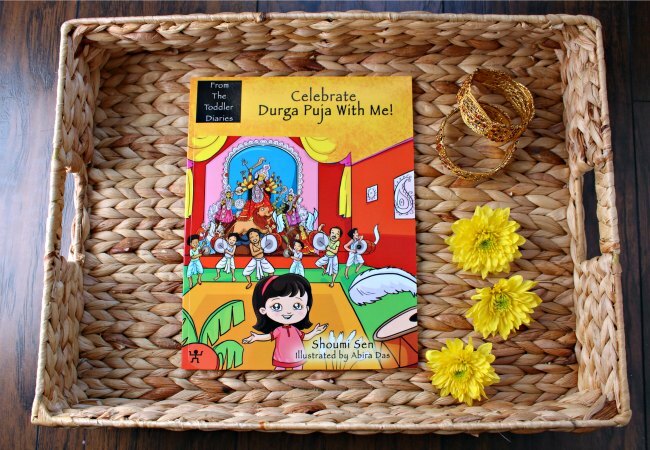 Be sure to grab your own copy of Celebrate Durga Puja With Me! Here’s more information about India and the Indian Festivals celebrated. 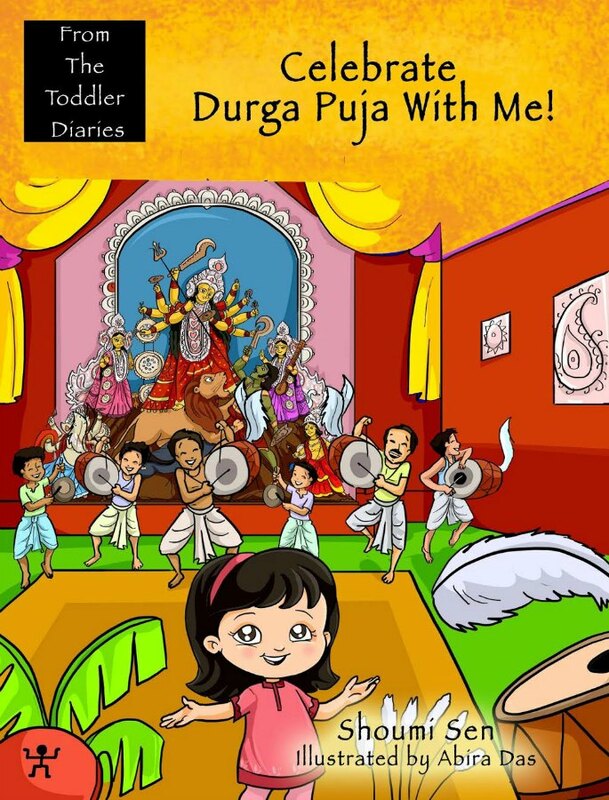 Created by Shoumi Sen and woven in poetry and color, ‘From The Toddler Diaries’ is a series of children’s books on Indian culture & mythology. Shoumi is a Strategy, Sales and Marketing professional at a leading global energy management company. 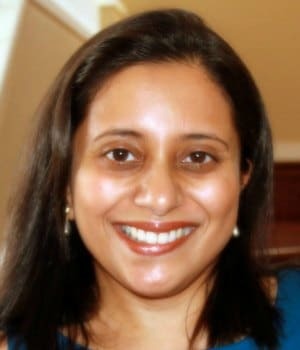 She studied engineering at BITS, Pilani and The University of Maryland, College Park, and now lives in Los Angeles, California with her husband and 3 year old daughter. Her childhood in Paris, Bombay and Dubai provided her with opportunities to appreciate how Indians preserve their cultural connectedness even while living abroad. 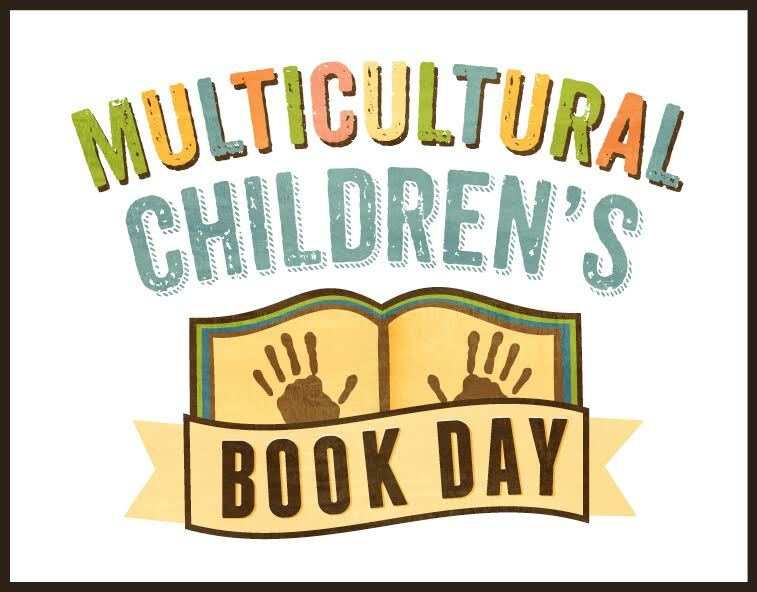 Join the Multicultural Children’s Book Day Book Giveaway on twitter on January 27th at 9p EST. Thank you so much for your support throughout all these years of Multicultural Children’s Book Day and for this great review! I’m so glad that Kim was able to show us all how to celebrate Durja Puja in such a personal and meaningful way, I love learning about different religious holidays!